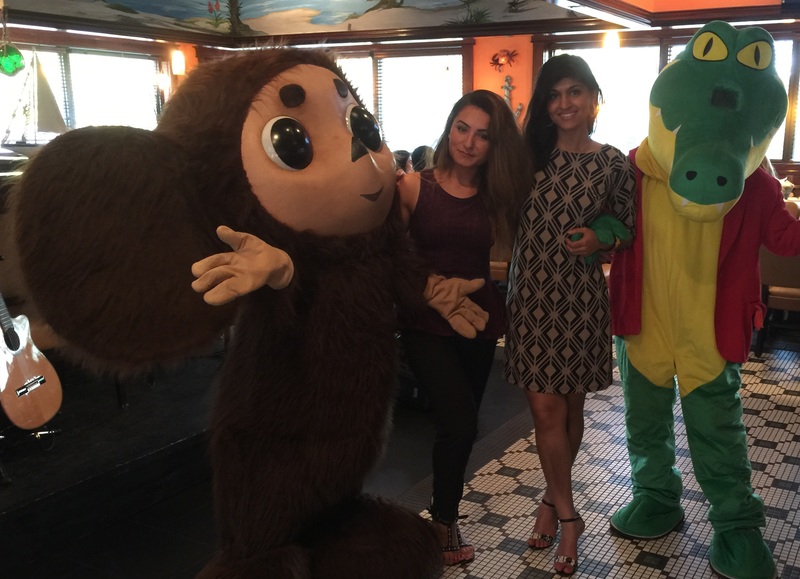 Barynya Entertainment provided popular Russian characters Cheburashka and Krokodil Gena and other entertainment for the Anniversary Party of Aria Medical Spa in Virginia. 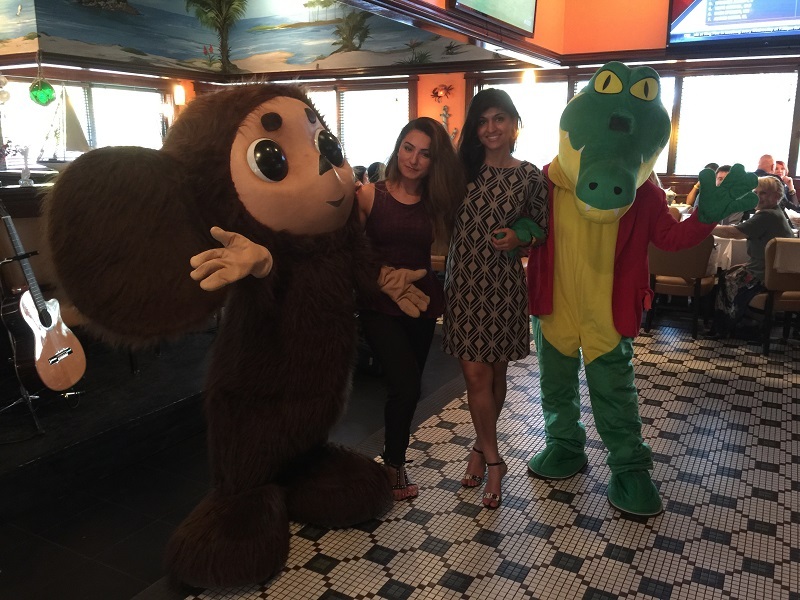 The event took place at the Captain Mas Seafood Crab House located in Cascades Marketplace, 46303 McClellan Way, Sterling, VA 20165. 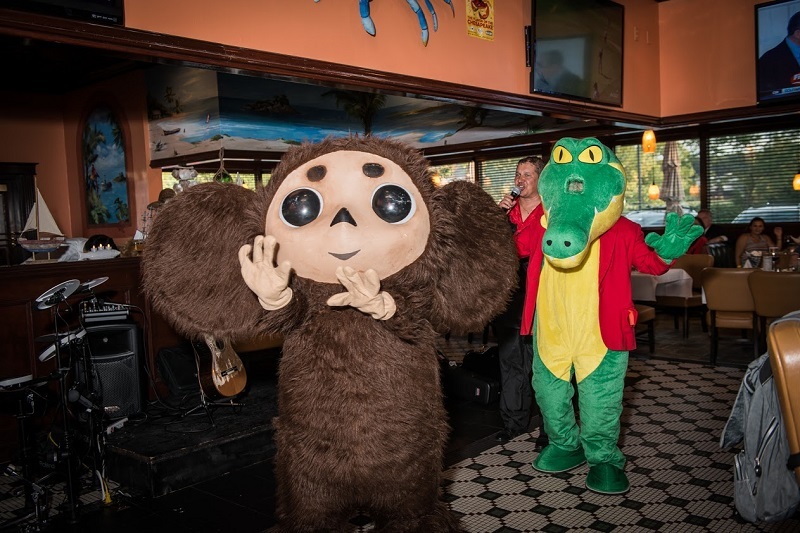 Cheburashka and Krokodil Gena (Чебурашка и Крокодил Гена) wished Happy Birthday to the owners and employees of the company. 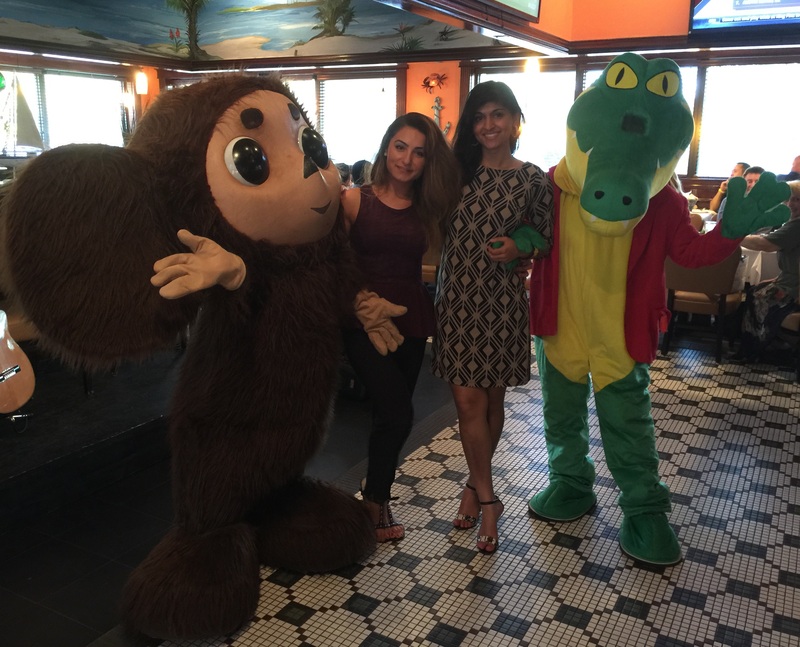 Both characters "Cheburashka" and "Krokodil Gena" are available for hire in New York City, New Jersey, Connecticut, Virginia, Pennsylvania, and other states for kids and adults party entertainment, Grand openings, Festivals, etc. Email: show@russian365.com / Phone: (201) 981-2497.